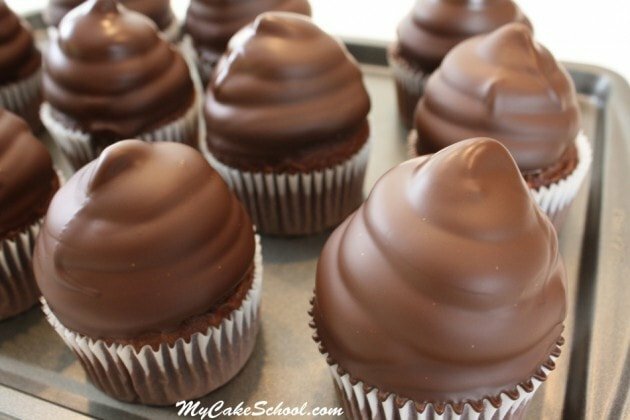 The chocolate shell is the star of any fantastic hi hat cupcake recipe! In case you’re not familiar with hi hat cupcakes, they are swirled nice and tall with frosting, chilled, and then dipped upside down into a small but deep container of chocolate, enveloping the frosting entirely. Amazing! I just love the drama that this chocolate coating brings, not to mention the added decadence! 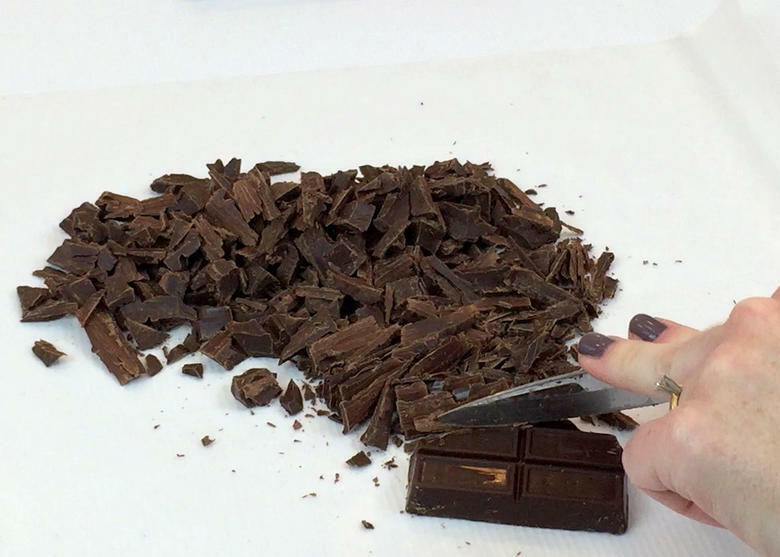 You will love how easily this simple two-ingredient chocolate shell recipe comes together. Let the dipping begin! Microwave the chocolate + 3 teaspoons of vegetable oil until melted and smooth. Now it’s dipping time! Here I’m dipping a chilled cupcake that was swirled with our Fluffy White Frosting. Find more information about Hi Hat Cupcakes as well as a free Hi Hat video tutorial here! How to Make Hi Hat Cupcakes! The chocolate shell takes about 15 minutes to set firm, or you can chill in the refrigerator. The sheen of the chocolate will be lost after chilling, but the cupcakes will still look fabulous! 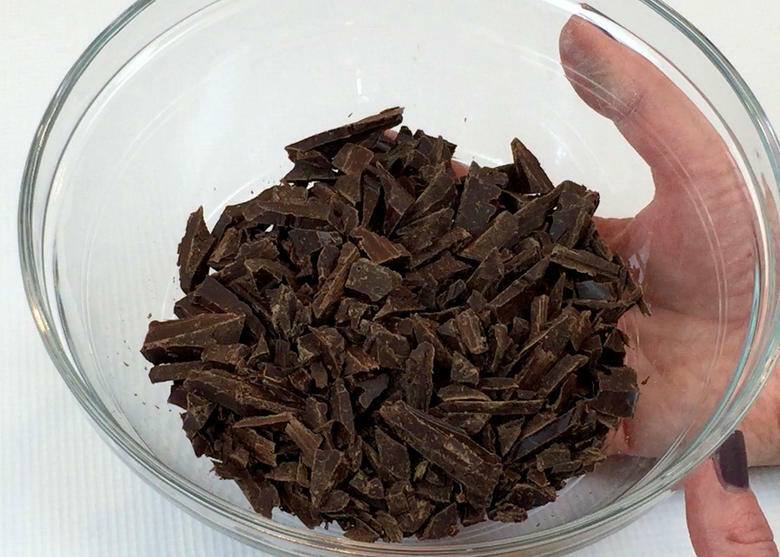 Combine the chopped chocolate and oil in a microwave safe bowl and microwave at 20 second intervals, stirring after each until the chocolate is melted. Do not overheat, when there are only a few pieces of unmelted chocolate, let it sit for a minute or two and stir and it should be melted and smooth. 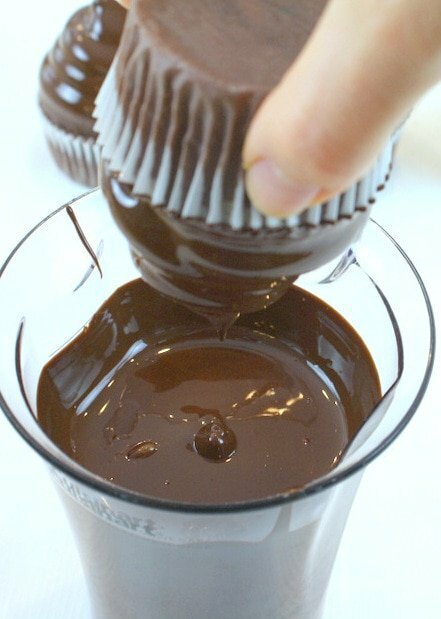 Pour the melted chocolate in a narrow container, such as a cup to dip the *COLD cupcakes. The melted chocolate should be warm but not hot so as not to melt the frosting. After dipping, let the cupcakes sit for a few minutes to firm up. They can be refrigerated in a covered container for 2 days (we have not tested beyond that). * Cupcakes frosted with Fluffy White Frosting or any frosting should be placed in the freezer for 20 minutes or refrigerator for 1 hour before dipping to prevent the frosting from falling off when dipped into the warm chocolate. These look wonderful, but the recipe did not work for me. As soon as I tried to dip the cupcake, the icing fell off into the chocolate. Am I missing something? Oh noo! I hate that you had this problem. None of ours fell, although it was my #1 worry each time I turned them upside down. I hope that you still have some to experiment with. I would freeze/chill your swirled cupcakes a bit longer so that they are nice and firm, and if that doesn’t improve things for you, try letting the chocolate cool off a bit more. Please let us know how it goes next time around! Hi Pat, I’m sorry it did not work for you. Did you use the 7 minute Frosting, link to mycakeschool.com. The frosted cupcakes must be chilled until the frosting is somewhat firm. Also, only take a few out of the refrigerator at a time to dip in the chocolate. I hope you will give it another try one day. You say they have to be served cold is there a reason why? Do they start to melt at room temp? It seems to me that the Ganache will set and hold all in is that ok want to make these for a wedding do you know the hold time at room temp? 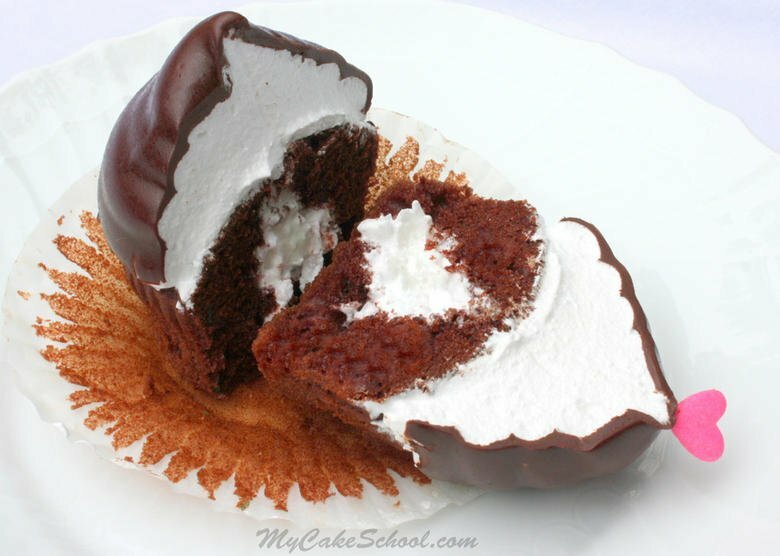 Hi LadyGriller, we say serve them cold because after about 30 minutes the chocolate becomes soft and sticky and it makes the cupcake very messy to eat. Can you use chocolate chips for the 24oz of chocolate or only blocks of chocolate? Hi Emily, We have not used chocolate chips so I can’t say for sure. It possibly could be a bit thicker and not coat the frosting as well. I’m sorry I don’t have a definite answer on that. Can I decorate this icing with fondant decorations? Can it be left at room temperature for 1-2 days? Hi Michelle, I’m sorry but the chocolate shell would not hold up well to fondant decorations. The Hi Hats need to be refrigerated until just before serving time. The chocolate shell is very thin so it softens quickly and becomes sticky as it warms to room temperature. Wouldn’t this work better using coconut oil instead of liquid vegetable oil? Coconut oil remains solid at room temperature (up to 76F or 24C) so unless it’s really hot weather, the coating will hold up better and you wouldn’t need to keep the cupcakes cold. Since coconut oil is very dense compared to vegetable oil, only 2 tablespoons would be necessary. Thank you, Erica, we will have to give this a try.